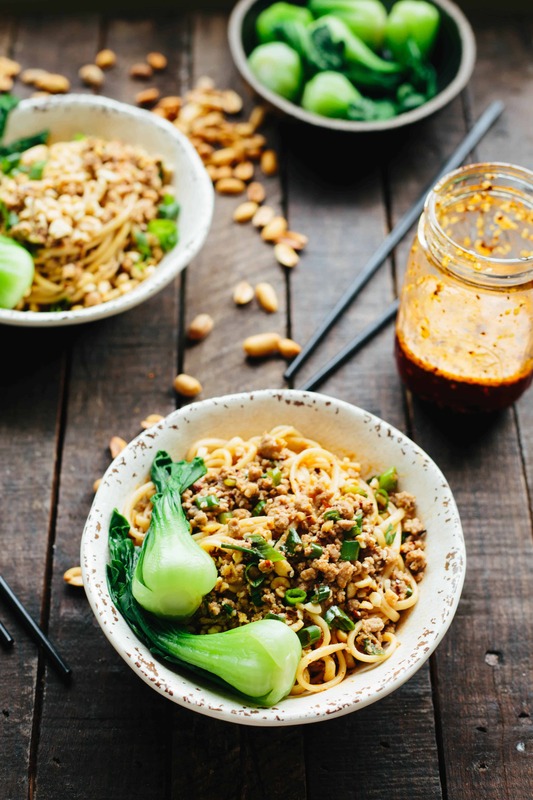 Dan Dan Noodles are a classic Sichuan street food made with ground pork and spicy chili oil. 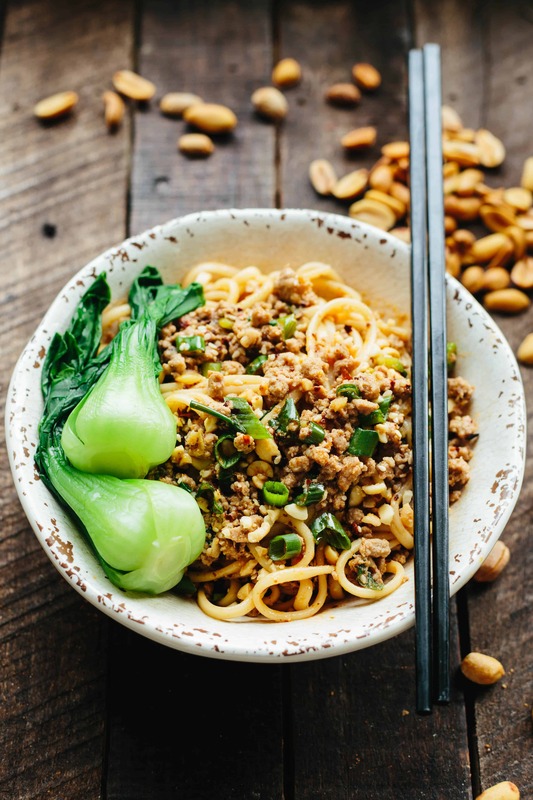 These noodles have the perfect balance of flavors and textures! I had my first taste of dan dan noodles many years ago at a trendy Sichuan restaurant in Philly. They were super spicy, salty, and crazy addictive. It was one of those dishes that seemed to hit every single tastebud on your tongue, and when the bowl was empty, I wished there was more. From that moment on, it became my mission to seek out and order dan dan noodles every single chance I got. I was hooked. Only thing was, that chance didn’t come around very often. Finding dan dan noodles on a menu anywhere, at least in South Jersey, is rare. 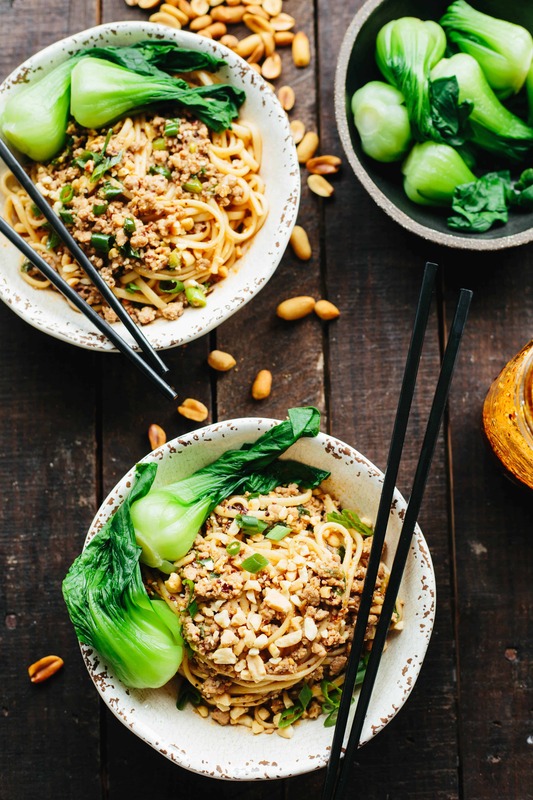 The Chinese restaurants around here aren’t serving up much more than your standard Americanized fare like gloppy, cloying General Tso’s chicken and greasy, super salty fried rice. I knew if I wanted to enjoy this dish more than once every few years, I was going to have to learn how to make it myself. Now before I go any further, I would like to firmly state that I am not an expert on dan dan noodles or Sichuan cuisine. I am not Chinese and I do not claim to be an authority on Chinese food. I just really, really like this dish, and since I can’t get it where I live, I’ve attempted to make my own version at home. Regardless of authenticity, I think it’s pretty damn tasty. Lately there’s been a lot of chatter around the topic of cultural appropriation of ethnic food, and I want to make it clear that this post is purely based in appreciation and nothing more. If I have misrepresented this dish, Sichuan cuisine, or Chinese culture in anyway, first, please (kindly) make me aware of my mishap, second, help me to understand and correct it, and third, know that my intention was never to offend. 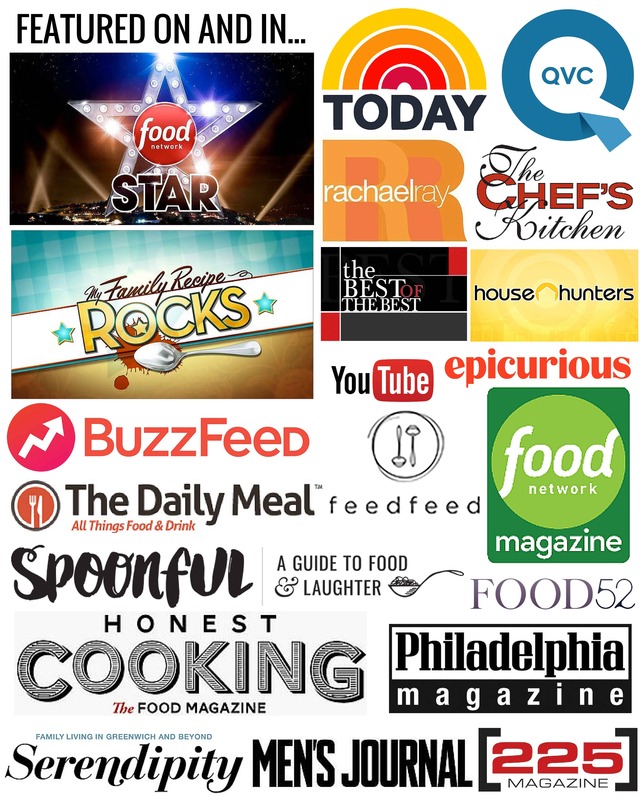 The purpose of my website is to share delicious recipes with my audience – nothing more, nothing less – and this happens to be one of them. We cool? In my attempt to master Dan dan noodles, I had to do quite a bit of research. I love eating Chinese food, and while I’ve dabbled in cooking it before, I don’t have a ton of experience. So I took to the internet and after much trial and error (so much error), I developed my own mash-up of a few different recipes. I used this one from Maggie of Omnivore’s Cook Book, this one by chef Peter Chang on Epicurious, and this one from the folks at The Woks of Life. I used only the ingredients I was able to find locally (so no sui mi ya cai aka preserved/pickled vegetables) and adjusted the quantities to suit my own taste. Your taste may very well be different than mine, so I advise you to do the same. I’ve never been to China, so I’ve only experienced Americanized versions of this dish which are apparently notably different. 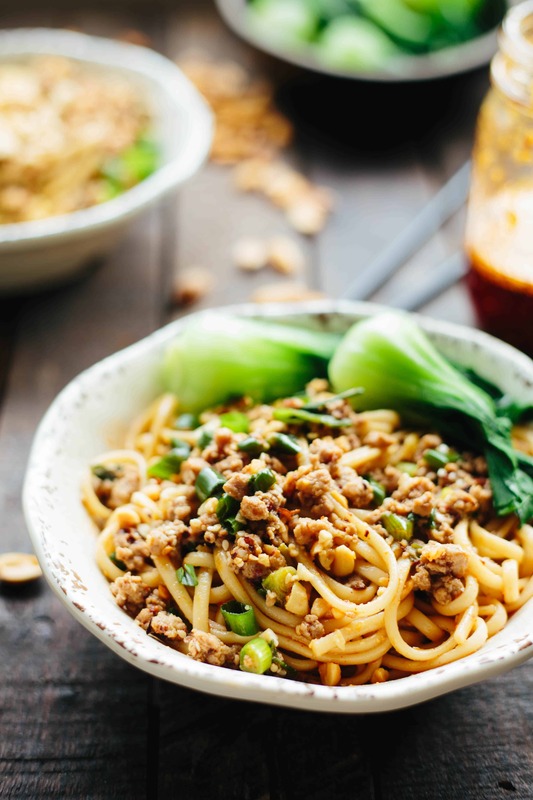 However, the basic components are the same: wheat noodles, ground pork, and chili oil. That last ingredient is what really makes dan dan noodles unique. You can adjust the recipe to make a slightly milder version, but if you’re not into spicy food, I’d advise you just skip this one altogether. It is meant to be a spicy dish and I don’t believe it will work if you try to remove that part of the equation. 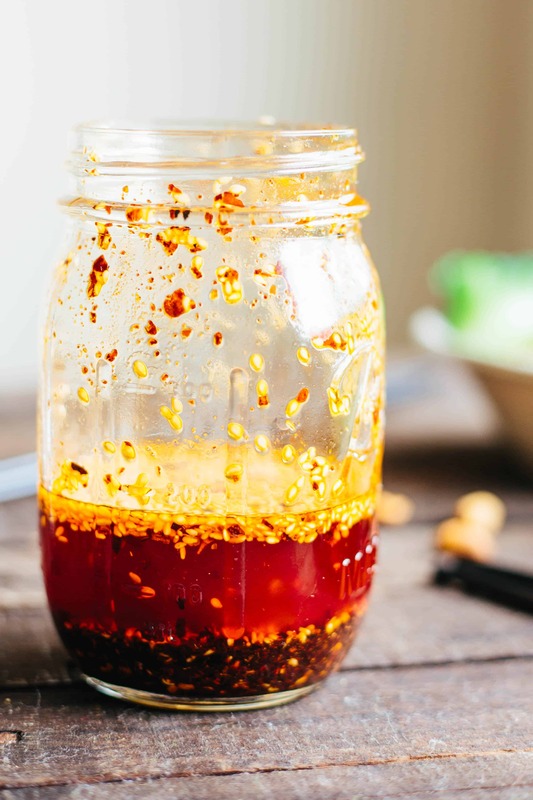 In addition, I’ve found that taking the time to make your own chili oil from scratch can mean the difference between a good bowl of dan dan noodles and a great one. 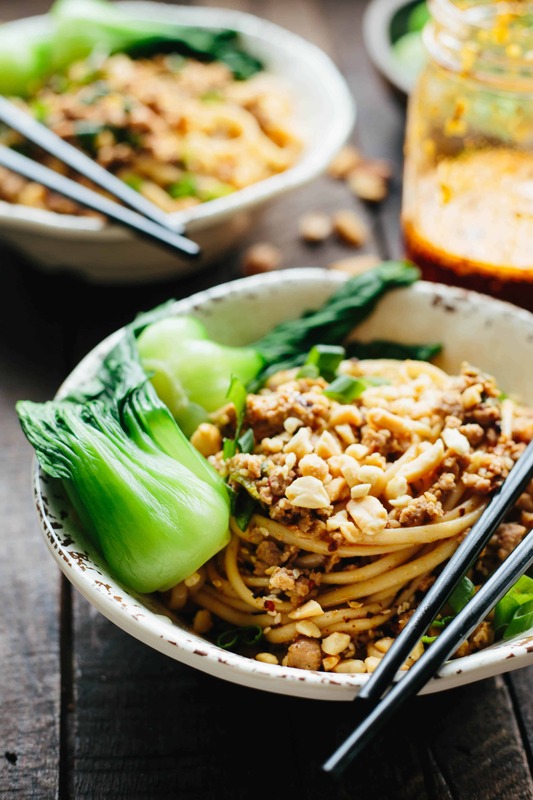 Ground pork gets flashed in a wok and then seasoned up with scallions, Chinese 5 spice powder, soy sauce, and a splash of Shaoxing wine. Next a separate sauce is made using the chili oil – lots of it, more soy sauce, garlic, ginger, Chinese black vinegar, and a little bit of tahini. Those last two ingredients seem to be somewhat controversial, but I like them because they give body and an oomph of acidity to the overall dish. At the very last minute, freshly cooked noodles (I used udon) are tossed together with the pork, sauce, and some of the cooking liquid from the noodles. It all gets finished off with a sprinkling of chopped roasted peanuts, more scallions, some blanched greens, and if you’re me, a little more of that chili oil (because I can’t help myself). It all comes together to create a bowl of perfectly balanced flavors and textures that is really such a treat to enjoy. 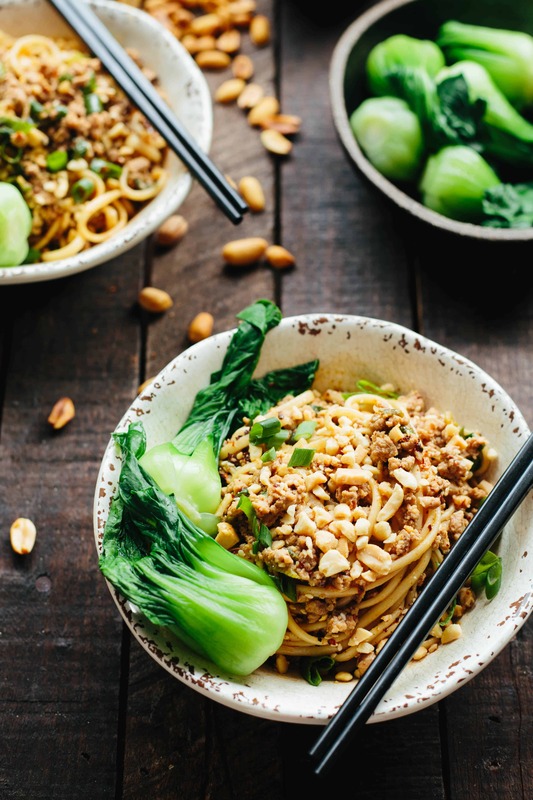 Dan dan noodles are traditionally served as a snack, but there is no shame in my game. We happily inhaled these for dinner. After putting in all that effort and tasting the final dish, I think it’s fair to assume you would too. Heat oil in a wok or large skillet over high heat. Add ground pork and use a spatula to break it up into tiny bits and allow it to brown and get slightly crisp in parts. Add Shaoxing wine, 2 tablespoons soy sauce, 5 spice powder, and half of the scallions. Cook for one minute more, then remove from heat and set aside. Whisk together the remaining 3 tablespoons soy sauce, tahini, black vinegar, sugar, ginger, garlic, and chili oil. 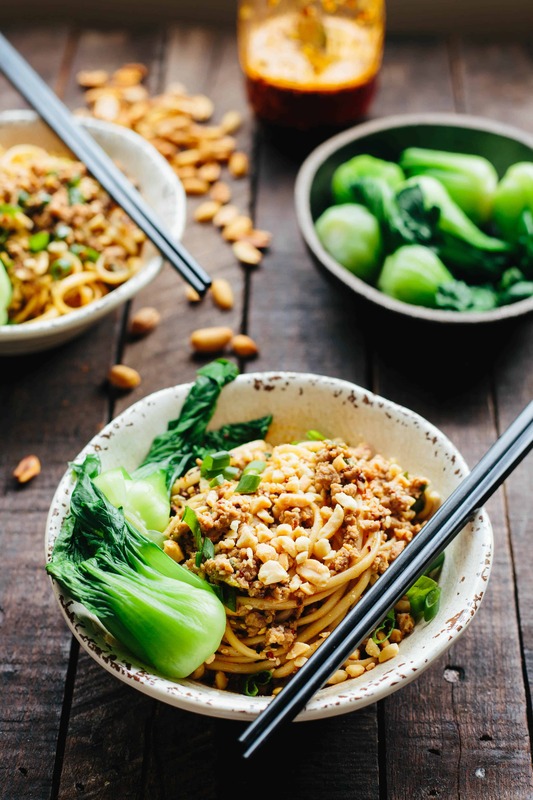 Cook noodles according to package directions, then reserve 1 cup of cooking liquid and use the remaining water to blanch the baby bok choy for about 2 minutes, or until tender but still crisp. Divide the noodles between 4 bowls (or more if making smaller portions), then add 1/4 cup of cooking liquid to each (should still be nearly boiling). Divide pork among the bowls, then pour sauce over top. Let sit for a few minutes, then mix everything together. Top with chopped peanuts and reserved scallions. Serve immediately. 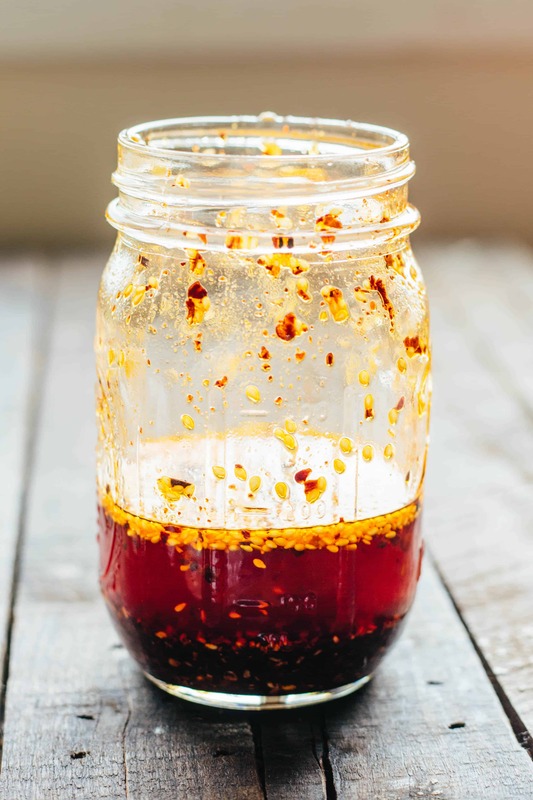 This spicy chili oil is dead simple to make and tastes amazing on everything from noodles to dumplings and everything in between! Adapted from Maggie Zhu. Mix together the crushed Sichuan peppercorns, chili flakes, sesame seeds, Chinese 5 spice powder, star anise, and bay leaves in a medium heat-proof bowl. Heat the oil in a pot over medium high heat. When the oil just begins to smoke, immediately turn off the heat and carefully pour into the bowl of spices. Use a spoon to gently mix everything together as it bubbles and sizzles. Allow to cool completely, then remove the star anise and bay leaves (leaving them in will cause the flavor to become too strong). Transfer to a jar and store in the refrigerator for up to two months. I never pass up dan dan noodles. I’ll make a triple batch of the oil. Those jar pics are so enticing! The oil is ridiculous. I put some on avocado toast this morning and it was insane! OH MY GOD!!!!! Dan dan noodles is one of my favorite noodles! It is just better when it’s homemade! Sooooo drooling now! These look amazing!! So hungry for this!